In the 18th and 19th century, homes were built from what was available nearby. 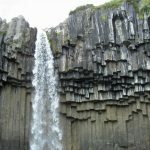 In many parts of the country, the most easily accessible material was natural stone. 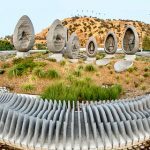 Because of the durability of this material that comes straight from the earth, many of the stone farmhouses from that era still exist. Some remain part of fully functioning farms, while others have been converted for new purposes. 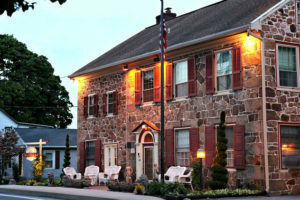 Churchtown Inn in Narvon, PA, is constructed of local fieldstone and is a testament to the longevity of these solid natural stone structures. Located in Lancaster County’s Pennsylvania Dutch Country, it’s still known as the Edward Davies Mansion. Amish and Mennonite farms surround this home on the National Historical Register. Davies originally constructed the Federal-Colonial mansion built around 1735 as the town’s post office and mercantile. 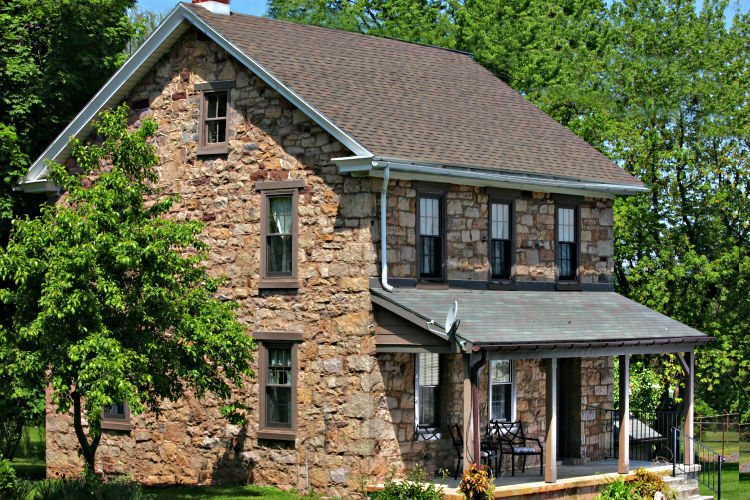 The building is constructed from solid native fieldstone and contains natural stone features throughout. Because of the fieldstone’s durability, the farmhouse withstood the Revolutionary War. It has served other purposes, including a dorm for the Churchtown Academy and community meeting space. It was converted into a B&B in 1986, shortly after being fully restored. Today, the stunning property, which attracts guests from across the globe, is owned by Jim and Chris Farr. 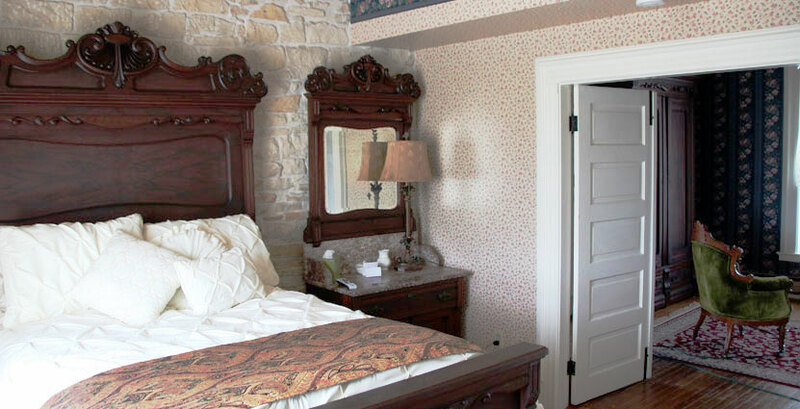 “It was the natural stone that made me fall in love with this B&B,” says Chris. The main house has nine distinct rooms with private baths. It also features a year-round enclosed veranda with fieldstone walls and a slate floor. 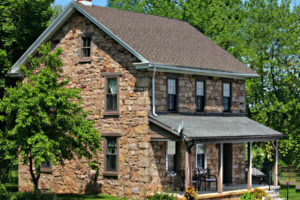 The stone originates from local Amish farms. “Many farmers’ land is filled with these enormous blocks of fieldstone that all we have to do is have dug up to use for projects and renovations,” explains Chris. 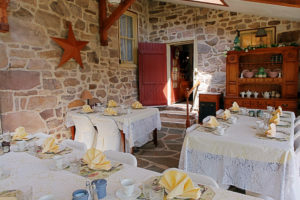 The property also is home to two other fieldstone cottages. One is a former rector’s house called Farmview Cottage, which one of the area’s oldest inland churches, Bangor Episcopal, owns. The other is the Covered Bridge Cottage, also known as the Paymaster’s Cottage, which belongs to Poole’s Forge plantation. Renters use the 99-foot Burr arch truss covered fieldstone bridge over the Conestoga Creek to access the house. 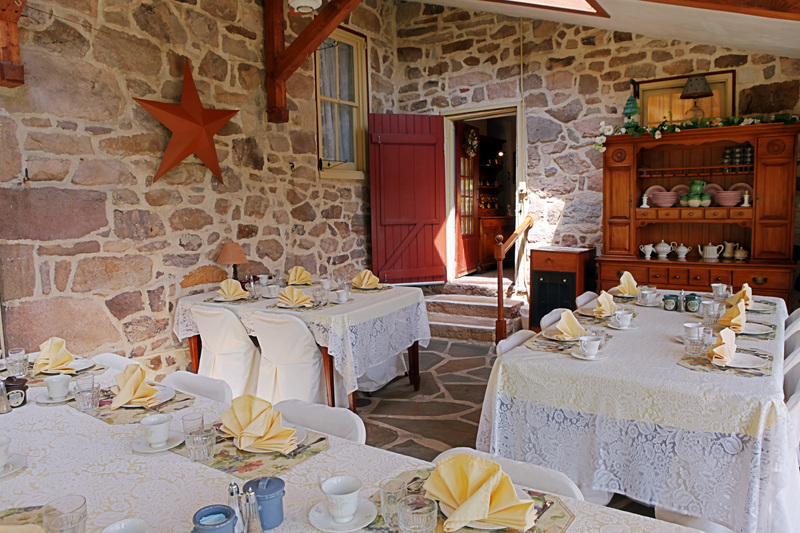 This farmhouse B&B was constructed from stone quarried from the land where it sits. 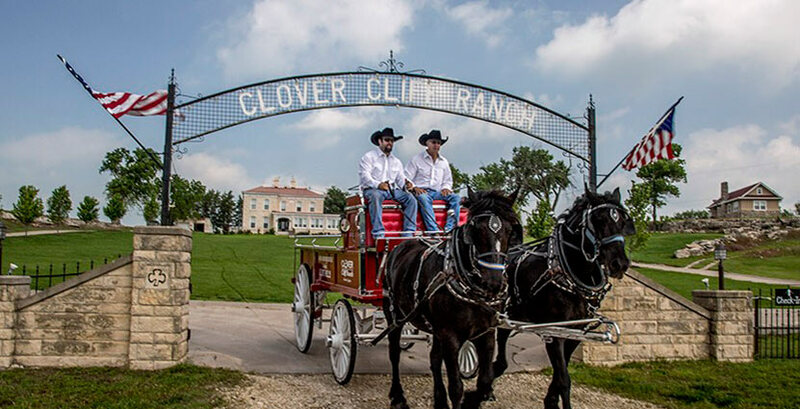 The Clover Cliff Ranch, located in the Flint Hills of Chase County, KS, is a picturesque solid limestone home that visitors reach through a stately iron gate with a limestone base. Originally a one room cabin, after two additions in 1867 and 1883, it is now a four-bedroom house with private baths. Entrepreneur John Blackshere built the cabin in 1860, the year before Kansas became a state. Located near the famed and slightly older Z Bar Ranch, owned by media mogul Ted Turner, Clover Cliff Ranch one of the original ranches in Chase County. Clover Cliff Ranch Lincoln Suite. The long-time family home on this working ranch was converted into a B&B in the 90s and purchased by Warren and Susie Harshman in 2014. “It had been vacant for seven or eight years when we bought it,” says Susie, a lifelong resident of Chase County. The couple lives a short distance away in Warren’s grandparents former home. They grew up near the historical, 4000-acre ranch and when it went up for auction, they decided to buy the prairie farm. “We needed more land for our cattle, and we also believed it was our turn to be a keeper of its history,” she says of their decision. The house features an enclosed, wraparound stone veranda with exposed limestone walls. One of its rooms, The Lincoln Suite, has an exposed natural limestone wall. 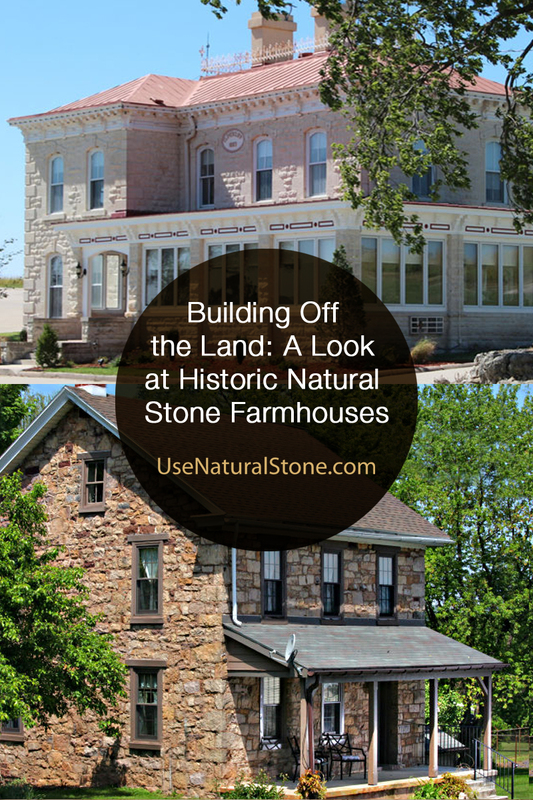 The home’s walls are entirely natural limestone, and when some of the original cabin’s stone was crumbling, they replaced it with limestone quarried on the Flint Hills site where the farmhouse is located. They had to hire artisans with specialized skills to make sure the repairs, including to a stone hearth, were flawless. Clover Cliff Ranch Main House. Since purchasing the B&B, they’ve entertained people from around the world in true Victorian style. “We would never have met the people we have if we hadn’t bought the ranch,” enthuses Susie. Guests who hike on the property will see remnants of stone fences as part of its landscape.